Siphokazi Majambe (Kushie) is 26 years old. She was born and raised in Motherwell, Port Elizabeth. She grew up an overachiever and excelled in all subjects at school but had a particular acumen for maths and accounting. During high-school she secured a bursary that sent her to the University of Cape Town to pursue her dream of becoming a Chartered Accountant. Kushie had a successful first year of university. She did exceptionally well in her academics and was elected onto a top leadership position. However, she started to struggle with her academics mid-way through her second year. This was her first time having to deal with failure, being away from home and she felt isolated in the eurocentric institution that UCT is. This led to her developing depression and she was unable to recover to her optimal performance. Sadly, this resulted in Kushie losing her bursary and she had to go back home without her degree.. but this did not stop her. Back home, she registered with UNISA to complete the 3 credits she needed to finish her programme and in 2017, she completed her degree! The only issue is... Kushie owes UCT R46,000 and she can only graduate once that is paid off. Kushie has a big heart. 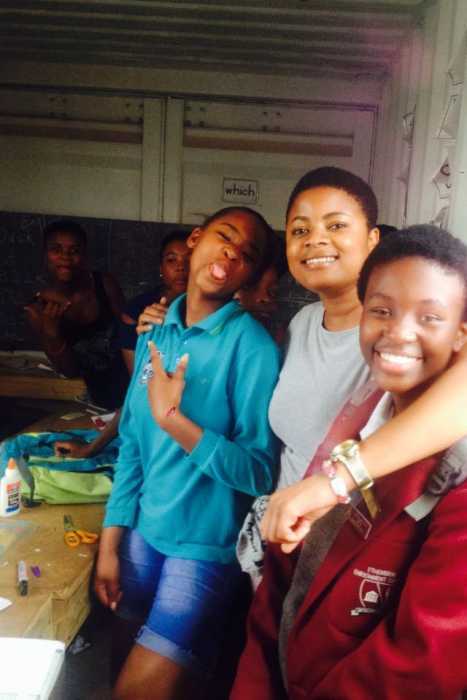 In addition to finishing her degree, she has spent the last two years tutoring Accounting and Economic Management Sciences to grade 9, 10 and 11 learners at Motherwell High School and tutoring at a local NPO - Arts for Youth. She also volunteers part time at BZL Accountants and Tax Consultants to gain practical knowledge and experience in a finance based environment. She has helped learners prepare for the annually run SAICA Accounting and E.M.S Olympiad and a team of learners she tutors recently won a national competition organised by the Department of Water and Sanitation. Anyone that knows Kushie, knows that she is the sweetest, kindest and most sincere human being. She is passionate about education and her desire is to help learners who come from the same background as her to realise their potential. So we're asking you to please help us, help Kushie, to become the first person in her family to graduate. Any donation counts. If you can't donate, please share and please share if you do donate.